I found an old blackberry charger that is now modded with a mono jack and i wired up the relay to a mono port and its working now i just need my feeder. I actually want to see if i can find room inside the unit for the relay. lnevo wrote: I actually want to see if i can find room inside the unit for the relay. I found an old 5v wall wart today so I'll either have to make or buy a step down converter to get down to 3.3v. I wanted to keep it all in the battery compartment of the feeder but I don't think I'll get away with it if I use a converter. I'll pick up a small RadioShack project box to put everything in then run a cable up to the feeder. Let us know if you manage to stuff it all in the feeder. I'd like to see how you do it. If it can't fit, I'll just put the relay it into a project box and swap the jack for a plug on the extension cable I made. I've been reading through the various mods and it should be easy enough to put the relay on a small board along with the components I need to bring the voltage down to 3.3v form 5v on the wall wart. I ordered a bunch of parts/pieces last week to build the projects from the book I'm reading and I'm just waiting for that to ship. I should have everything I need in that batch other than the relay. I'll pick up the relay from Radio Shack on the way home tonight. Got my feeder today and got everything installed. Was no way to get it stuffed in without doing the battery mod. I put it all in a small take out plastic container. I'm just gonna grab a small project box tomorrow. I tested plugging it in and unplugging. It triggers immediately. Can't wait to get this hooked up. All my electronics parts/pieces finally came in and I'm ready to get going in on this but I have a question before I start. 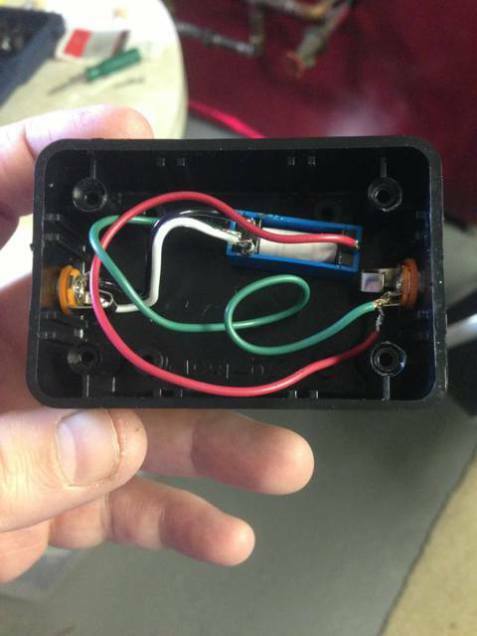 From the PDF attached to the page in this link (http://www.manhattanreefs.com/forum/diy ... pex-3.html) he is using the following items to convert his 5v DC wall wart to 3.2v DC to power the feeder. Supply List for building 5-­‐3.2V Converter. 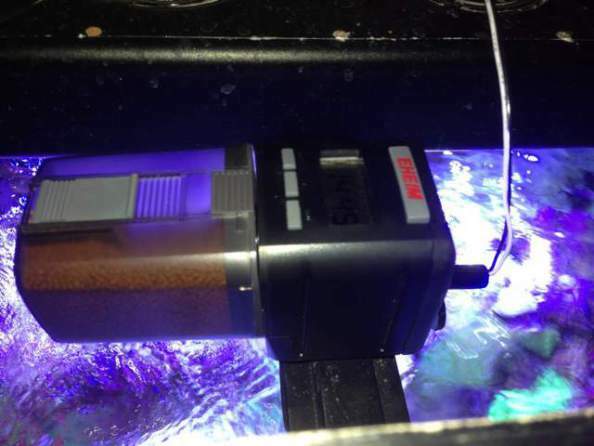 For those of you that used this method over keeping the batteries to power the feeder have you had any problems with this? I'm still very new to electronics and I understand the *very* basics of this and how/why it works but in my research for DC to DC step-down converters I've read on many sites using this method is not all that great and/or "clean". Is there anything inherently wrong with going this route? I think you are just fine with that voltage regulator. I'll give it a shot. Thanks, Roberto! 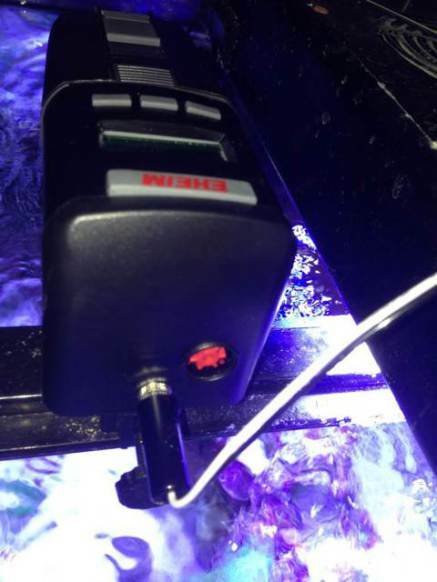 I recently brought a battery powered auto feeder and was thinking of powering it up via the ReefAngel instead of batteries also would be best if i can trigger a feed wirelessly. Found this thread with lots of information but i am a idiot when it comes to electrical stuff. Possible to teach me what to buy and how to assemble?